How much of it was a Soviet invention? Hey folks, I've just recently gotten into this massive rabbit hole and timesink over the past year or so, with increasing interest, and I'm very much leaning to the revisionist side now (having lived most of my life simply assuming that the standard story must be true and well-supported). Clearly there was some US/British belief in the extermination story too, right from their discovery of Belsen, Dachau, etc. - but how much of the US/British belief was an interpretation of what they found, filtered via stuff the Soviets were telling them about what they had found? And a secondary but I think probably related question: how much of it was perhaps invented by the US/British and the Soviets (in co-ordination or independently) as a quick and dirty way of "de-Nazifying" Germans? Is that perhaps the real root of the myth? I'm thinking in these terms because while it is tempting to think of the idea as having been invented by Jews, and while it has certainly been widely spread by Jews, it seems more plausible to me that the Holocaust was perhaps initially an Allied/Soviet invention based on realpolitik in some sense, which war-traumatized Jews understandably latched onto and spread. IOW, perhaps it was initially a kind of psychological warfare of some sort that got out of hand - again a hurried program of de-Nazification - with Jews then picking up the ball and running with it, so to speak. Interested to hear any and all thoughts. Re: How much of it was a Soviet invention? gurugeorge wrote: Hey folks, I've just recently gotten into this massive rabbit hole and timesink over the past year or so, with increasing interest, and I'm very much leaning to the revisionist side now (having lived most of my life simply assuming that the standard story must be true and well-supported). gurugeorge wrote: My knowledge is still quite sketchy on it all, but one thing that's particularly piqued my interest. 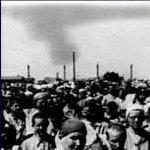 How much of the Holocaust story perhaps started off as specifically Russian propaganda? (I'm thinking of the Ilya Ehrenburg pump-priming, particularly re. the 6m figure, combined ....And a secondary but I think probably related question: how much of it was perhaps invented by the US/British and the Soviets (in co-ordination or independently) as a quick and dirty way of "de-Nazifying" Germans? Is that perhaps the real root of the myth? It's quite difficult to say how rumors originated. Some may have emerged from gossip, some by Jewish organisations some from British broadcasts, some from Soviet atrocity tales and others may have been added by the American Psychological Warfare units later. They also copied each other in their stories. You can check out Eugen Kogon's book on this. He admits being employed by the Americans and many of the stories must have been supplied to him by the Americans. Bear in mind that there was community of interest against Germany/ Axis from the Allied site and several other role-players. Copying existing atrocity stories adds to credibility in the public mind. The British actually admit to atrocity accusations against the Germans to be deceptions. Innumerable people were traumatized by WWII. Japanese-Americans were forced into US concentration camps, the communists put countless Christians in gulags, the Allies committed vast war crimes against the Germans and the Japanese, etc. No doubt the enormous crimes of the Allied military meant they needed a distraction from those heinous, very real, and verifiable actions. Consequently they latched on to the impossible '6M Jews, 5M others, & gas chambers' propaganda ... it served their interests at the time. However, to absolve Jews of the real responsibility for the 'holocau$t' fraud is to ignore historical facts. The fact of the matter is that Jews have been pushing the fake & impossible '6,000,000' lie since at least 1869 and have been pushing even harder since then. They now profit immensely from their scam. - If Jews are so sure that millions of Jews were murdered, then why do they ask such dumb questions like "what happened to them?" - If there was ‘a plan to kill every Jew the Germans could get their hands on’ then why are there countless numbers of so called “survivor$"? - If the alleged ‘holocaust’ was fact, then why are there laws in Europe to prevent scrutiny of it? What kind of “truth” needs to imprison people to prevent free speech? What about it being Jewish groups starting it, and then Psych Warfare picking up the ball and running with what they started? Hillel Kook and Ben Hecht were some of the the earliest. They were connected to a right wing Zionist group, affiliated with Jabotinsky if memory serves. Also complicating it, is when you talk about Allied Psych Warfare's role in the myth, in contrast to the Jews, you have to consider that some major players in Allied Psych Warfare were Jews. Like Billy Wilder. It's also on Holocaust Handbooks but there are some technical problems there. Thanks for the prompt responses folks, and for the welcome! Carto's Cutlass Supreme wrote: What about it being Jewish groups starting it, and then Psych Warfare picking up the ball and running with what they started? Funnily enough, this occurred to me just shortly after posting. 1) The 6 million figure was for Jews partly symbolic/iconic, partly a ballpark population estimate that was bandied around in the early 20th century (as per the newspaper clippings - btw this video is quite remarkable in that it painstakingly films 10 of the actual newspapers in realtime); and by the early 1930s the term "holocaust" was already starting to appear in close proximity to talk of European Jewry's travails and the 6 million figure. 2) This would have been in the minds of the (presumably) Zionists who floated the early, over-the-top claims (the ones involving electrocutions, boiling alive or whatever it was, etc., as well as gassing) during the early 1940s, which were then spread as rumours (by the BBC to Poland IIRC?). 4) The Allies generally (both the US/Brits and the Soviets) then interpreted everything in terms of this developing mythos, some no doubt partly upset at the Gulag-level horror they'd actually found, some no doubt with a more cynical view to using the idea as a form of Psychological Warfare to de-nazify the Germans. 5) Then come the Nuremberg trials, the forced confessions apparently feeding back to confirm the myth, the Chinese Whispers from some of the survivors who'd been exposed to the earlier rumours, etc., and who were interpreting their own experience in terms of them - and we're off to the races. Hannover wrote: However, to absolve Jews of the real responsibility for the 'holocau$t' fraud is to ignore historical facts. Yeah I wouldn't want to do that, I'm long past the point of being scared of blaming Jews for wrong that Jews have done. But at the same time, as someone who retains strong classical liberal leanings, I'm always wary of imputing collective guilt - in fact it's consistency re. that in relation to the Germans that's partly what's woken me up to all this - and I have no personal feeling against Jews as a whole (in fact there are many Jews I admire, and I think both "sides" have given as good as they've got in this apparent death struggle between Europeans and Jews that's been going on for hundreds of years now). I also think it's politic to say only as much as is really warranted, without trying to fill in the gaps with imputed motives and conspiracy theories that may or may not have some grain of truth to them, but aren't as solidly supported as the plain skeptical points, etc. I do think we should be quite specific in naming and shaming bad actors (mainly, I think, that verifiable strain of specific Jewish ethnic supremacists down the years). The problem is of course that no matter how carefully and precisely a Gentile tries to frame it, they're always going to be reflexively accused (even by their own inner critic!) of "anti-Semitism" anyway as soon as they utter the J-word in connection with anything bad, so I can understand the point of view that thinks you might as well be hung for a sheep as a lamb! (a) The Jews/Zionists have been pedalling the "6 million holocaust" routine since the 1800's- so that element arises from them directly- it was in fact first directly applied to nationalist Russia, then to Germany in WW1 and later in WW2 where it "found it's mark". To see this explicitly read "The First Holocaust: Origin of the 6 million figure" or the 1hr film by the same title. (b) The gas chamber myth is the most prominent subset of psychological warfare lies about the nazi's, some of which were dropped and some others also still survive. It was implanted by the British Political Warfare Executive (PWE) before it was absorbed into the American led allied psychological warfare division (PWD). To see this read "Britain's rumour mill: origin of the gas chamber story"
Whether the British PWE invented the myth first or got the idea from Jew's inside the camps themselves as a hysteria over the delousing process (ironically to save lives) and the crematoria (again- in order to dispose hygienically of mainly disease victims) with the urban legend being supported by the British PWE is something I'm not sure- but we do know that the British instigated the "gas rumour". The Soviet's you specifically asked about were involved with the fabrication of the myth directly at the Polish camps- with the already present gassing myth as a template to shoddily modify the buildings and mess with documentation etc. A quick analysis of Auschwitz for example already reveals that everything there is a fraud regarding tours, particularly the gas chamber. The Soviet's other claim to fame was their enormous forgery of documents at the Nuremberg Trial. 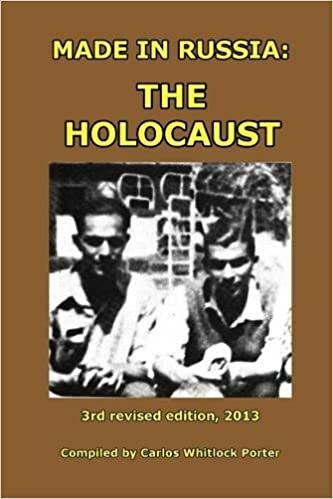 To see this watch "Made in Russia: The Holocaust"
I understand there is a new book by Carlo Mattogno in preparation stages now dealing with this exact topic. As the best holocaust scholar in the world- I would go so far as to say the worlds best scholar in any field- I am certain he will present the whole thing top to bottom in crystal detail. In any event- the century old Jewish "6 million in peril" routine amalgamated with the psyche war "gas chamber" and other horror stories to become "The Holocaust". Firstly gurugeorge welcome and well done for such a well thought through and written opening post. Your piece shows a thread right the way through and makes a good point but the question you ask is perhaps easy to answer, at least in my opinion. The jews invented the holocaust from top to bottom, the jews were Russian or at least from the wider controlled reaches of Russia and as they went west they caused disruption and concern among their hosts. They had been aided and abetted by both Russia in their holocaust quest and clearly stated aim of a new israel for the persecuted jews of europe, and Germany who gave them the chance to scream about the impending doom they feared they would face in the coming holocaust. Germany, sadly, also gave them the perfect storm in which to perfect their story, the geography of the war helped the Russians create the details of the claims behind the curtain of war and then the secrecy of post war eastern europe. There is no doubt the jews and the Russians were after the same end - to paint Germany as the devil having ripped europe apart with its warmongering and aggression and then the mass murder of all jews they could in the holocaust. I don't see any collusion between UK and Russia in this matter. The agreement between UK and Russia was simply a means to gang up on Germany and in particular Hitler. PR opportunities were easy to develop but I don't think there was any credible evidence in support of mass murder and gassings etc during the war proper. As you can see in my sign off I don't buy the 6m figure for one moment and I doubt many here do. The Russians maximised the opportunity to exaggerate Nazi aggression in the Nuremberg trials but as CW Porter clearly shows* the evidence presented and the fairy tales spoken by 'witnesses' was all from Russia and zionist jews hell bent on one end. As someone once said 'communism is zionism and zionism is communism'. The Russian revolution was a Jewish revolution no doubt- using the moral highground of communism as a front for Jewish totalitarianism- but I consider Russia to be actually led by Stalin with Jewish interests as a converging one (and later antagonistic post war). It is true however that the heirarchy was predominantly Jewish and that Jew's were placed in positions on the secured front also for "reliable revenge". In the West though- we were (and are) under direct totalitarian Jewish control through democracy. Although the majority of our people were not Jewish, our system enables such minority to assume full control. My point being that "Soviet" and "Jewish" objectives were not exactly synonymous- which is why we have 3 different versions of the Holocaust today- the Western/Jewish one, the Polish/Catholic one, and the Soviet/Atheist one (now the "Russian" one). Purely nationalistic Russian and well as Birtish and American etc aims sometimes overlapped and mostly aligned with Jewish interests- because of Jewish control/influence over the imperial forces and similar aims. WWII could of been averted, but for the jews sticking their noses in, stirring and making matters worse??? slob wrote: WWII could of been averted, but for the jews sticking their noses in, stirring and making matters worse??? What papar was this from and when was it published? I'm just curious. There are 2 sides to every story - always listen or read both points of view and make up your own mind. Don't let others do your thinking for you. What paper was this from and when was it published? I'm just curious. Sorry for the late reply, never noticed. Mortimer when you say 'communists' do you actually mean jews or in the current parlance 'european style socialists'?